Efficient and Powerful. 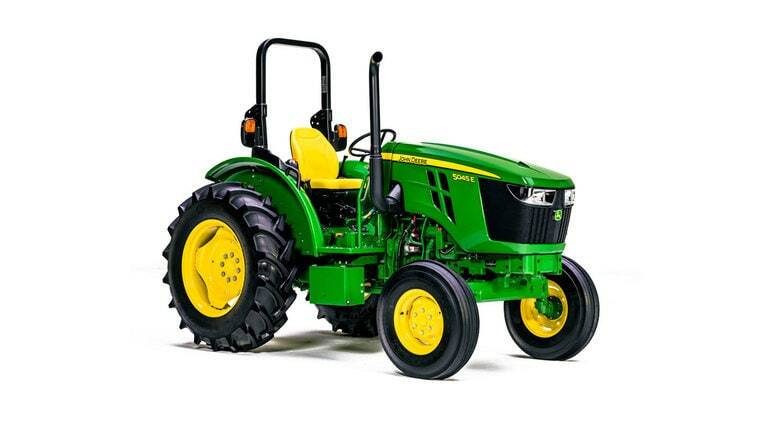 The John Deere 5045E is a durable tractor that can knock out any obstacle, especially when you have several acres to tackle. The 5E Series utility tractor has best-in-class visibility, a turbocharged diesel engine, and a comfortable driver's seat. The Final Tier 4 PowerTech Engine engine meets Environmental Protection Agency standards for emissions, so operators can drive easy knowing there's protection of the environment. The engine also puts out 50 horsepower. The designers of the 5045E prioritized things like user-friendly controls and improved legroom. *Some restrictions apply. See dealer for details. Offer ends 10/31/18. Check out the 5045E at any of our 6 locations today!